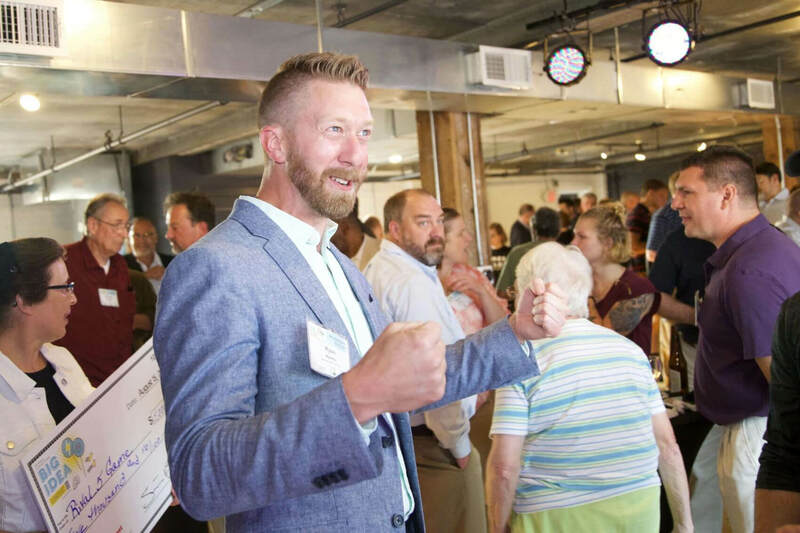 A do-it-yourself real estate service took the top prize in a competition for technology entrepreneurs that concluded Wednesday in Lancaster. Seven tech entrepreneurs from Lancaster and Lebanon counties competed in the finals of the Big Idea competition, hosted by Ben Franklin Technology Partners of Central and Northern PA. Following an afternoon of pitches before a panel of five judges at the Candy Factory co-working space, Noodigs was awarded first place, along with $35,000 of the $50,000 given out as prize money. Noodigs, which has its offices in Liberty Place in Lancaster, has a for-sale-by-owner software platform that provides greatly reduced fees and comprehensive process guidance. The service went live July 5 and is working to attract Lancaster County sellers and buyers to its platform, which takes a 1.5 percent fee and offers a neutral meeting place for real estate transactions. “We don’t represent either party in this transaction; we merely provide the tools and information for two reasonable parties to conduct that transaction,” said Ryan Harris, founder and CEO of Noodigs. Taking second place and earning $10,000 was Craft Biotech, a Millersville company led by James Cosentino that provides easy-to-use analysis tools for the fermentation industry. Winning third place and $5,000 was Rival 5, a number strategy game for children and adults developed by Carolyn Martin, of New Providence. — Creating Moore LLC, of Palmyra, which is developing an innovative technology that enables society to be better stewards of our planet’s resources and is led by Christopher Moore. — Integrated Platform Services, Lancaster, which is creating a technologyenabled concierge subscription service for families to manage the care of aging adults and is led by Henry Yaeger. — LabStrux, of Lancaster, which offers cybersecurity software products primarily for the U.S. Department of Defense and is led by Nathan Shea. — Quantified Financial Solutions, of Lancaster, which is developing software that allows the user or customer to view the outcomes of decisions based on current and future financial projections and is led by Keith Landis. The seven entrepreneurs evaluated in the final day of judging were chosen from 20 who applied for the program that was launched in March by Ben Franklin Technology Partners when it opened its TechCelerator at the Candy Factory. In addition to the cash prizes, each of the finalists receive some training and support, including a membership in the TechCelerator, an incubator for technology companies. The Big Idea competition was limited to entrepreneurs in Lancaster and Lebanon counties who are developing or commercializing a new, innovative tech-based product or process. The Ben Franklin initiative is a program of the state Department of Community& Economic Development. The largest early-stage/seed investor in our region, Ben Franklin Technology Partners/CNP, (an initiative of the Pennsylvania Department of Community and Economic Development and funded by the Ben Franklin Technology Development Authority) provides funding, operational assistance, and business support services to emerging tech-based companies and small manufacturers for the purpose of creating and retaining jobs in Pennsylvania. Visit Ben Franklin’s website at www.cnp.benfranklin.org.